Lately my appetite has been stuck on cookies. 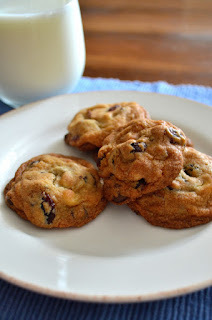 For some reason, when a sweet craving strikes, I want homemade cookies dunked in ice cold milk. Perhaps it's the time of year. While cookies take center stage at Christmas, I think summer is cookie season. These sweet morsels are easier to make than pies and handier to transport than ice cream. Need dessert for a picnic? Want a treat to munch on at the lake or beach? Cookies are the answer! Once you know a basic cookie dough recipe, what kind it becomes is completely up to your imagination…or what’s in the pantry at the time. 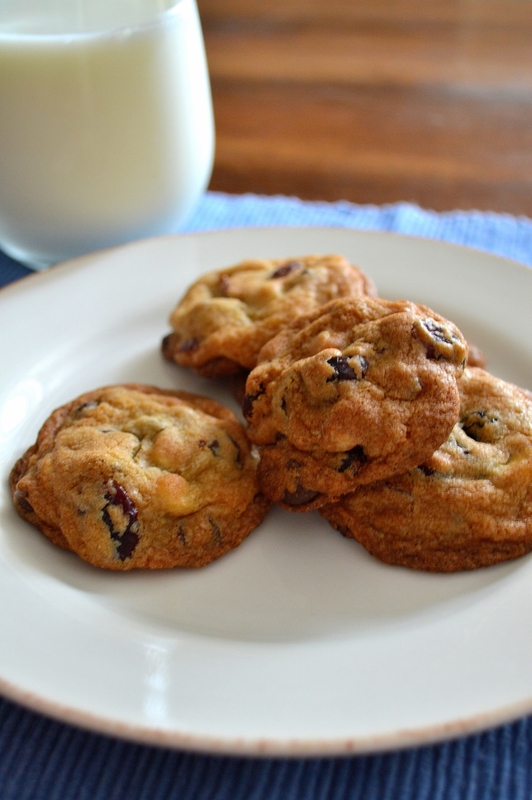 For example, these Blissful Cranberry Cookies were inspired by the Starbucks Cranberry Bliss Bars. To my basic cookie dough, I added dried cranberries, white and semi-sweet chocolate chips, and walnuts. 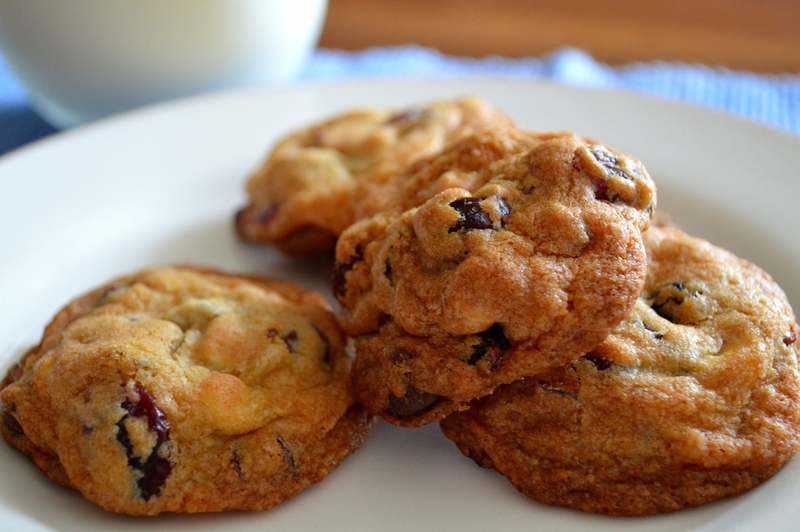 However, you could add any dried fruit, chips, nuts and flavorings to make your own signature cookie. To make the basic dough: In a medium bowl, whisk together the flour, baking soda and salt. Set aside. In the bowl of a stand mixer, add the butter, brown sugar, sugar and vanilla. Beat until creamy. Add the eggs and beat until well combined. With the mixer on low, gradually add the flour mixture until combined, scraping down the sides of the bowl a couple of times. Add the dried cranberries, chips and nuts, and mix for just a moment to combine.